Soak Up the Sun and Have Some Fun School is out and summer temps have finally arrived in Central Ohio. To celebrate, the Worthington Parks & Recreation Department will host the second annual Summer in the 614 event on June 6 from 4 to 8:30 p.m. Following the success of last year’s inaugural event, which attracted more than 3,000 people, the lineup for this year promises to be bigger and better than ever. The free event, which will take place on Worthington's historic Village Green, is a celebration of all things related to Columbus and will feature a host of local businesses and organizations, interactive activities, live music and food vendors. Food – Bring the whole family and enjoy some of the best food Columbus has to offer. Natalie's Coal Fired Pizza will be on site, as well as two of the city’s most popular food trucks, Wrapped Up and Schmidt’s Sausage Truck. You'll also be able to satisfy your sweet tooth with irresistible treats from Sweet! The Mobile Cupcakery and Kona Ice, a shaved ice truck and ice cream truck. Live Music – Grab a blanket and cozy up on the lawn for an amazing concert lineup featuring Jovan and the Wild Things, the Phillip Fox Band and POPGUN! 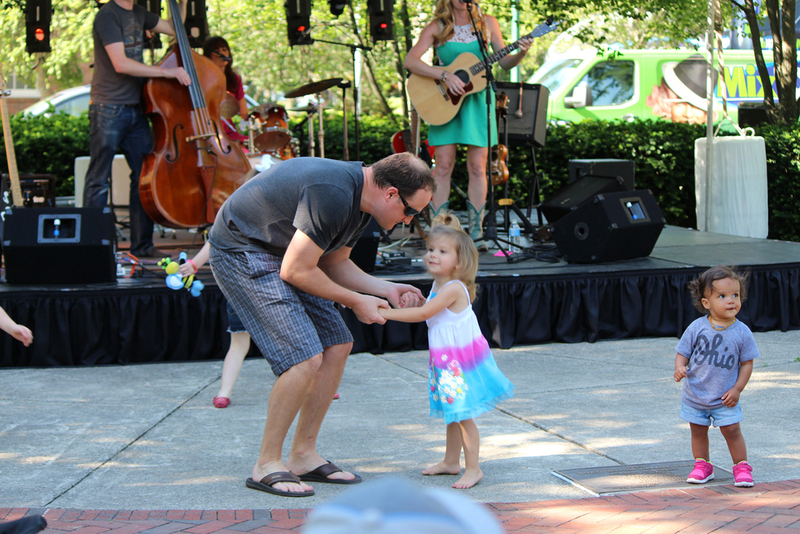 And don’t forget that Worthington offers live Concerts on the Green all summer long. Sports – With featured attractions from four Columbus sports teams, sports fans will definitely want to check out The OSU Mobile Tour, the Columbus Blue Jackets Street Hockey Team, the Columbus Clippers activity booth and The Ohio Machine. Kids activities – While mom and dad are enjoying all that Summer in the 614 has to offer, kids will love meeting RaTio and their favorite characters from COSI, taking part in games and activities, and bouncing on inflatables. Worthington’s Village Green is located at the intersection of Rt. 161 and High Street. Keep in mind that while live music will take place throughout the entire evening, activities, information booths and vendors will close at 7 p.m. For more information about this fantastic event or to participate as a vendor, visit www.worthington.org.